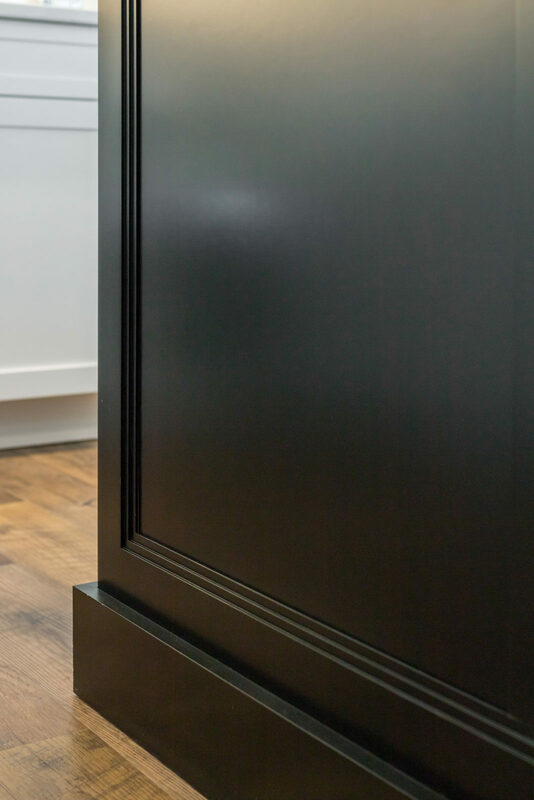 Our passion to deliver an extraordinary blend of quality, design, service and value, combined with our more than 20 years of experience in all aspects of the cabinet industry, will result in a project you will be proud of and enjoy for years to come. 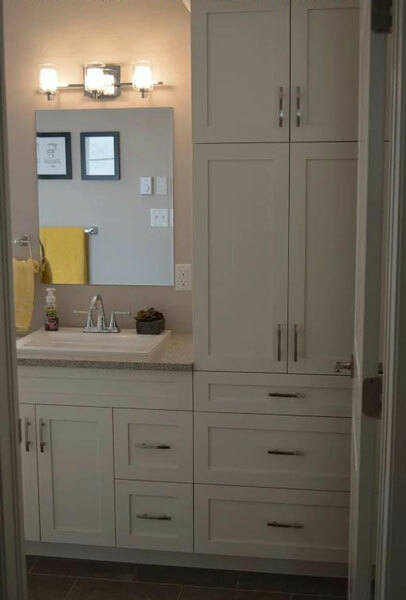 We bring you an extensive collection of the finest cabinetry materials and finishes paired with the highest quality cabinetry craftsmanship. 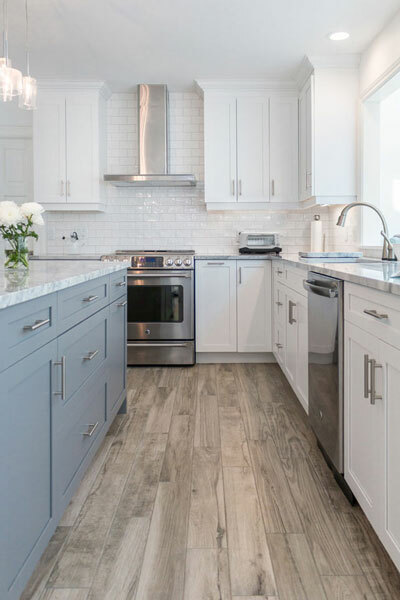 With a selection of over 150 door styles and more than 140 standard colors and finish options, our premier cabinetry line, Cuisine Idéale, is backed by a written Limited Lifetime Warranty, designed to ensure your peace of mind and enjoyement year after year. 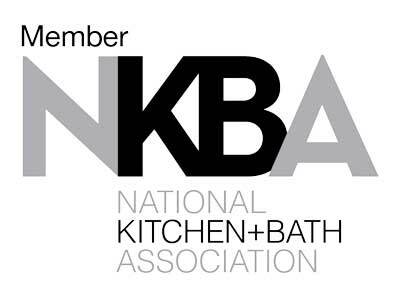 As a member of the National Kitchen & Bath Association (NKBA), we are pleased to represent the values and standards with the professional knowledge and resources that come in part with being a member. 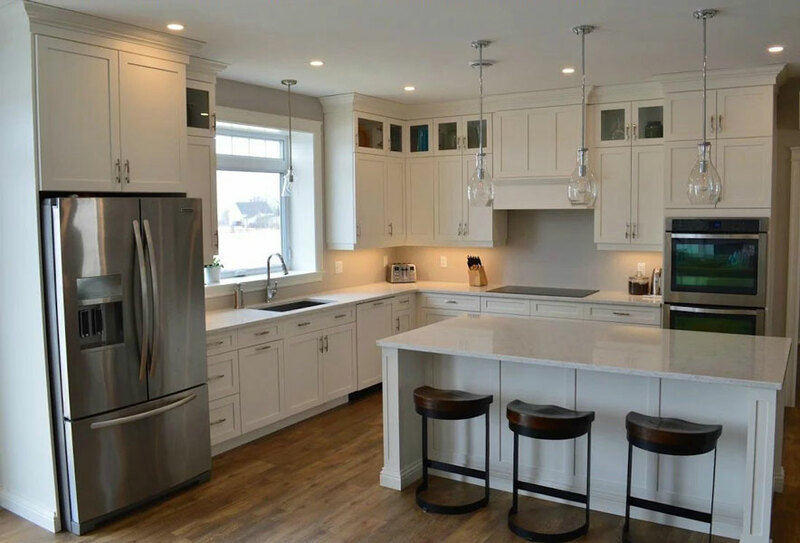 We understand that our success depends solely on the satisfaction of our clients and, being that many of our clients have been brought to us through referrals, you can feel assured that, together, we will achieve excellence with your project as well. 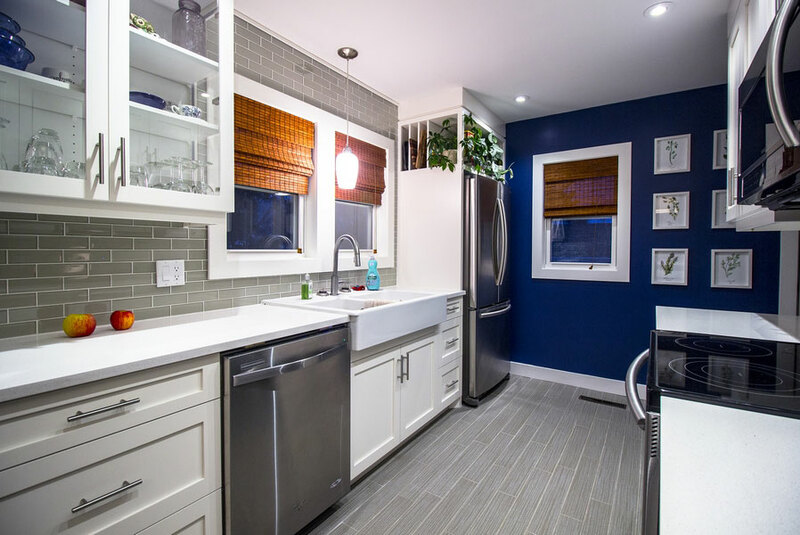 Our primary focus is to improve the beauty, value, function and convenience of your space; adding to life’s enjoyment. 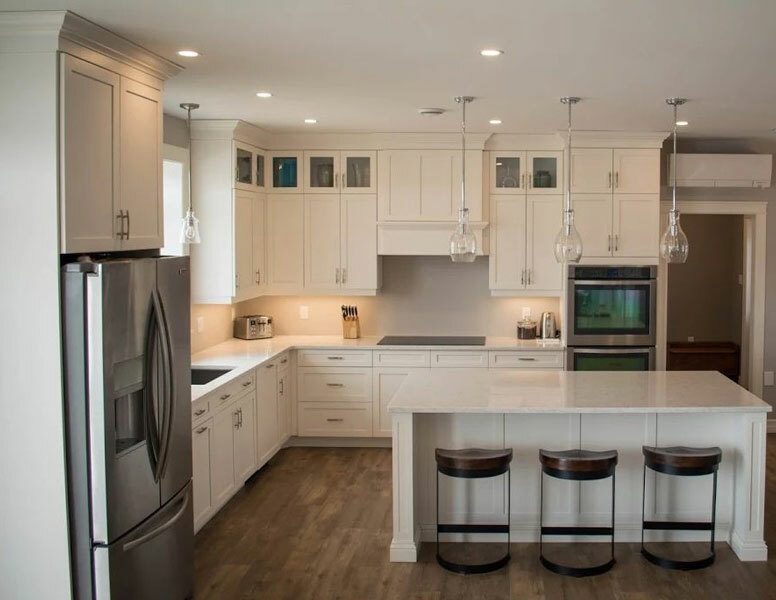 We understand the importance of your project to you, your family and to the value of your home and are always looking forward to helping you to achieve your absolute dream space. 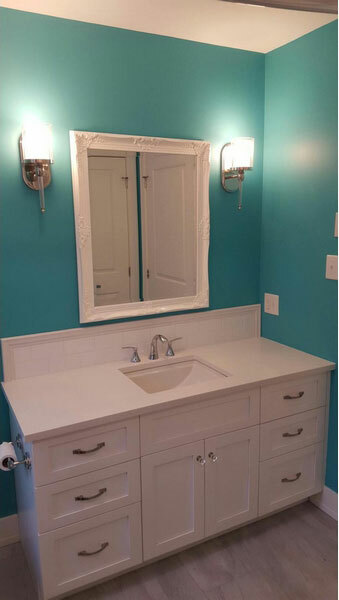 Contact us to schedule your complementary consultation. 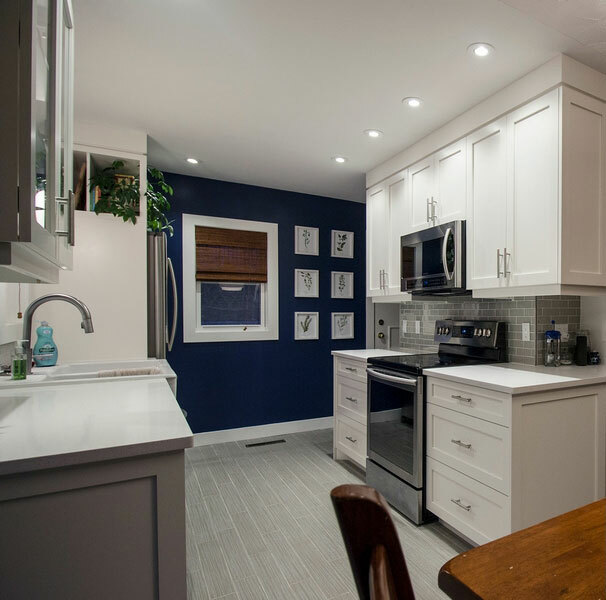 The initial consultation can take place at our Design Studio or in your home at your convenience. 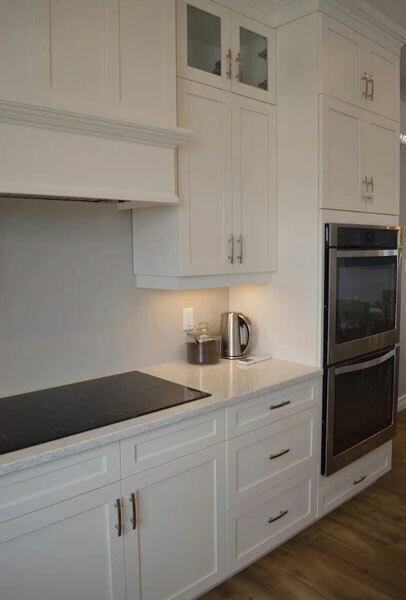 If your project is new construction, we suggest that you bring a copy of your blueprints or email them prior to the consultation and if your project is a renovation, an in-home consultation is recommended as this will allow us to view your space to help determine style, function and to maximize space usage. 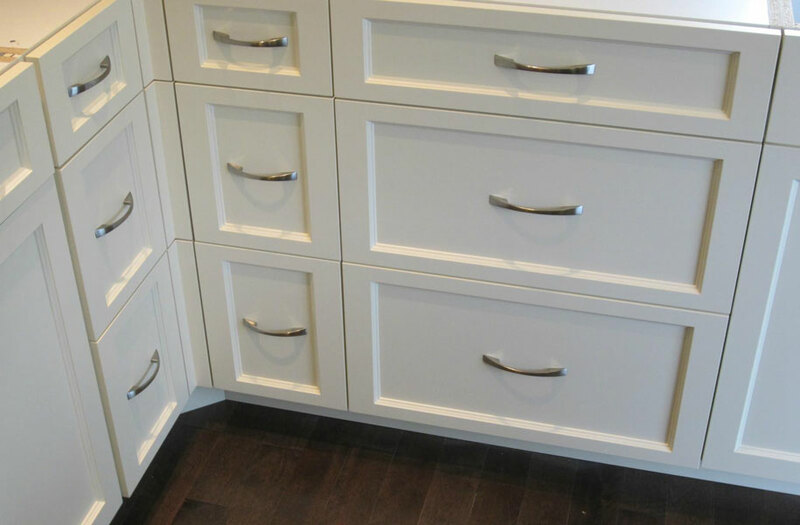 Here, we will also take detailed measurements. 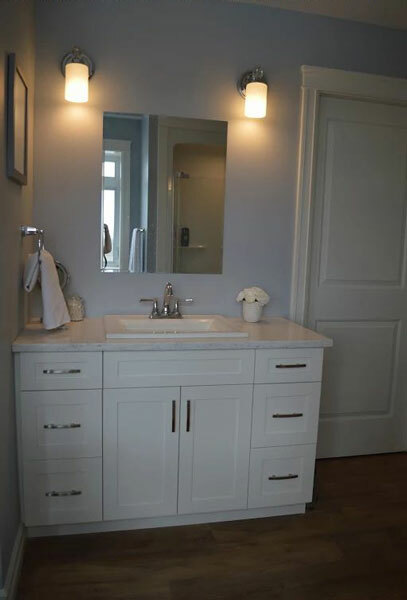 Collect or save photos of spaces that appeal to you, colors that you prefer, and any ideas or items you would like to incorporate in your new space. 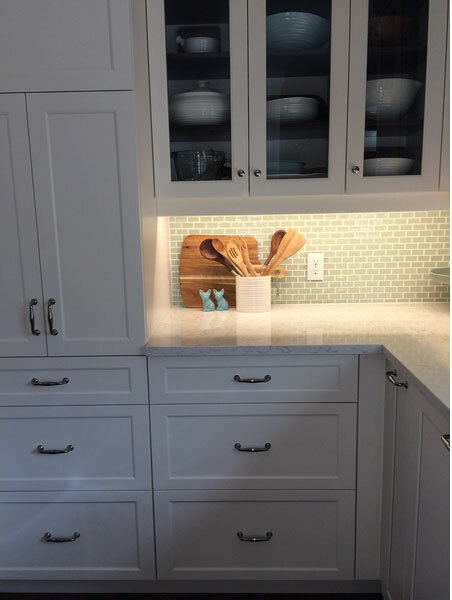 Many of our clients save inspiration photos from houzz.com and pinterest.com – the modern day version of ripping pages from a magazine. 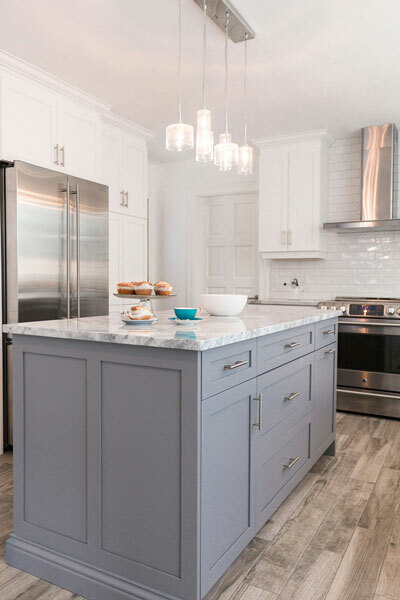 We encourage you to share with us your ‘Pinterest Boards’ or ‘Houzz Ideabooks’, or any inspiration photos that you have saved as this information helps us learn the styles that you gravitate towards and allows us to better assist you in making selections. 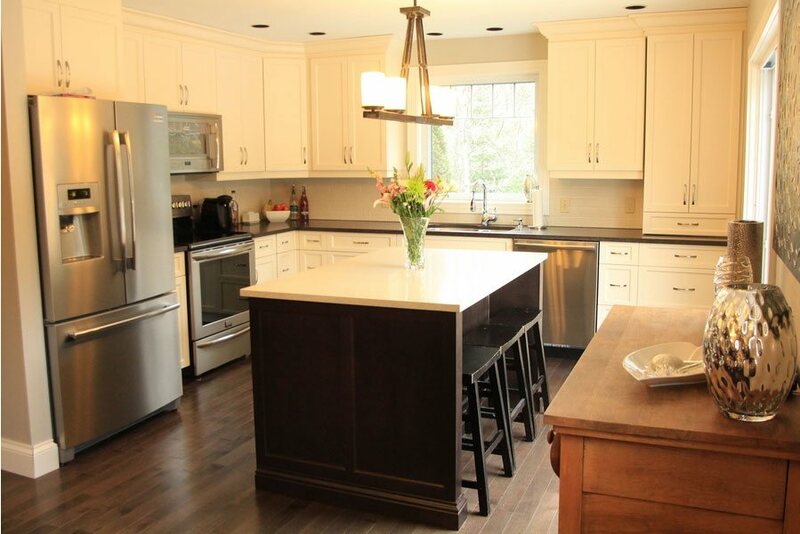 We can also set up a private Houzz Ideabook or Pinterest Board to collaborate together and share inspiration. 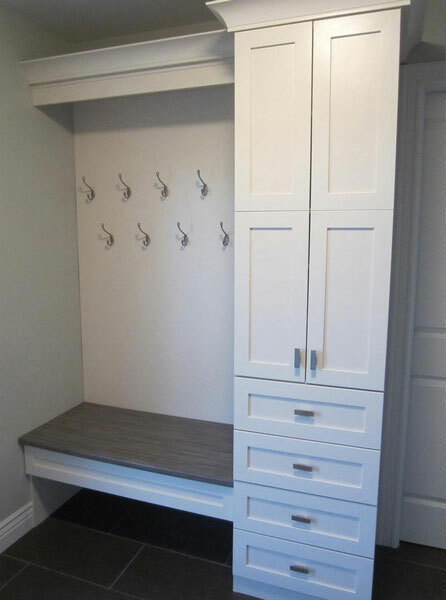 Do you require more storage space? 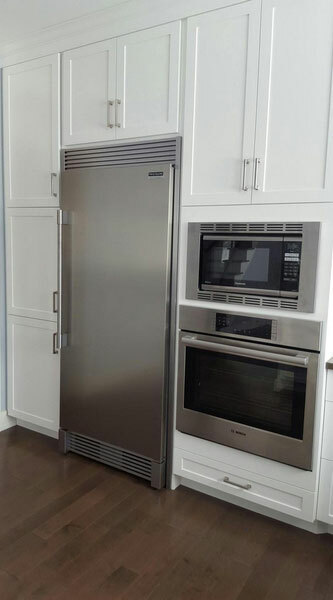 Are you keeping or replacing your appliances and fixtures? 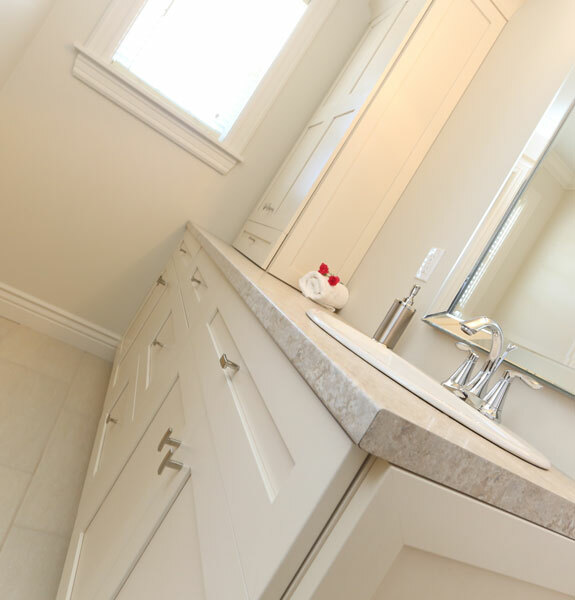 We believe that the key to a perfect design plan starts with a proper analysis of your needs, wants and style. 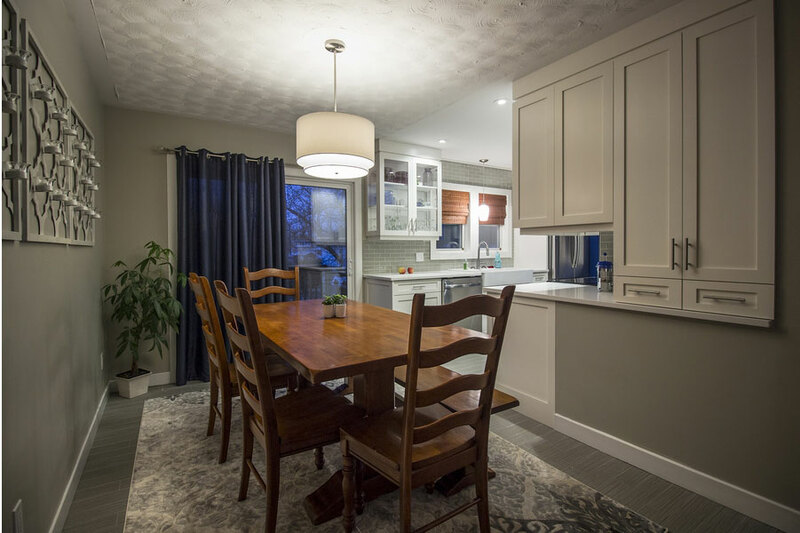 We have designed a detailed Planning Questionnaire to help us establish these details for the most beneficial planning and design of your new space. Next we will prepare and deliver 3D design concept renderings using the latest design software for you to visualize the possibilities of your new space. 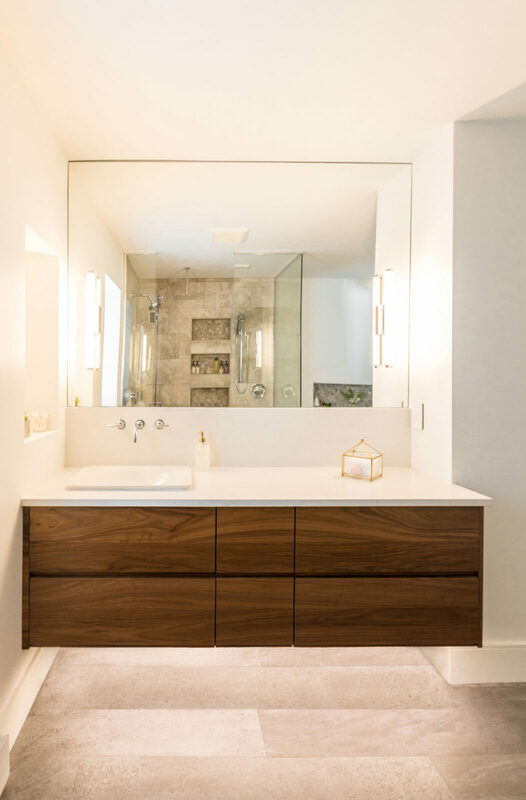 Together we will discuss and fine tune the design and details, making necessary revisions until the design is perfectly tailored to your wishes and lifestyle. 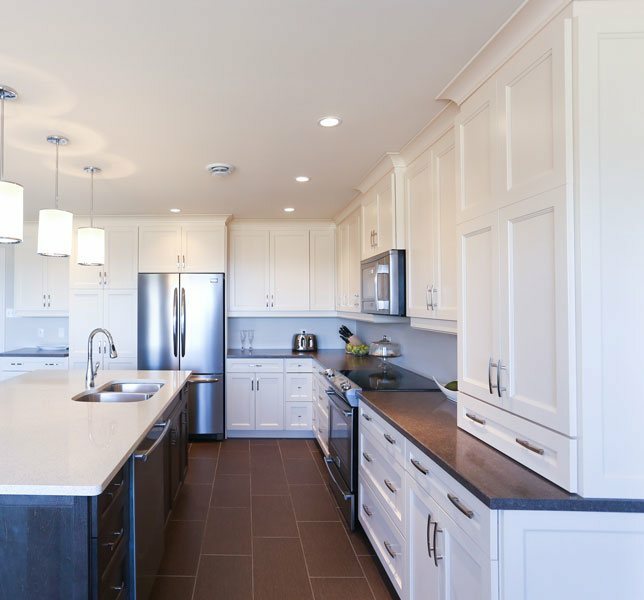 Your design will follow NKBA access and planning guidelines. It will also optimize safety, functionality, traffic flow and serve any unique physical requirements. 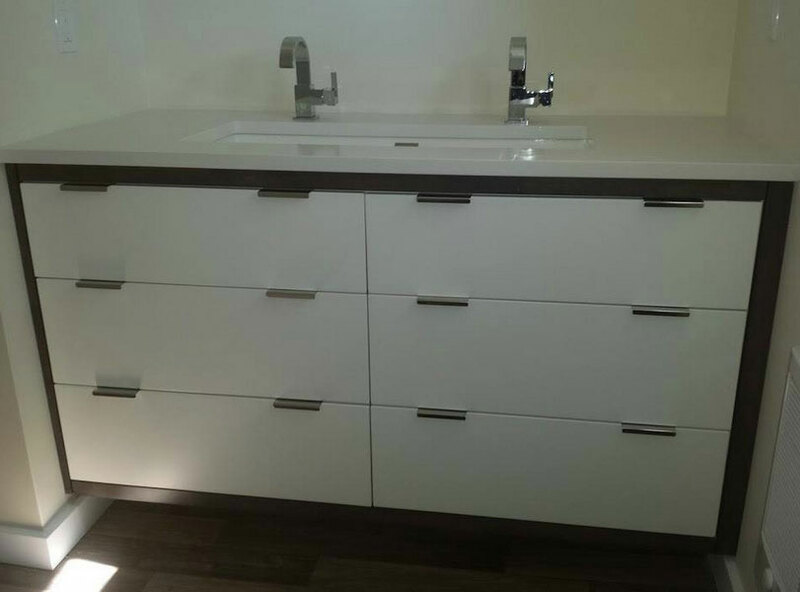 It will truly be custom designed to your exact requirements, dreams and desires. 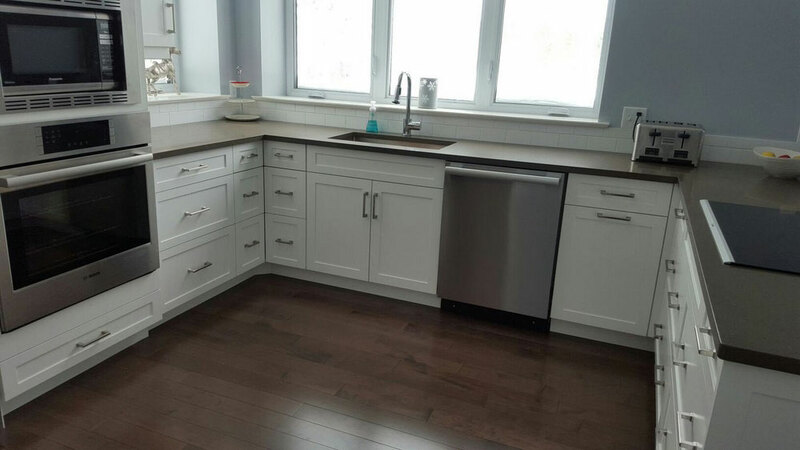 Once we have a good concept of the design for your new space, you will receive a detailed quote for the total cost of your project. 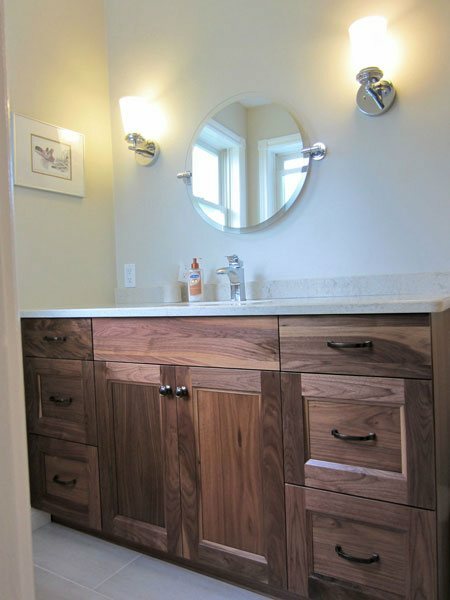 If necessary we will refine or modify the project details to better fit within a established budget. 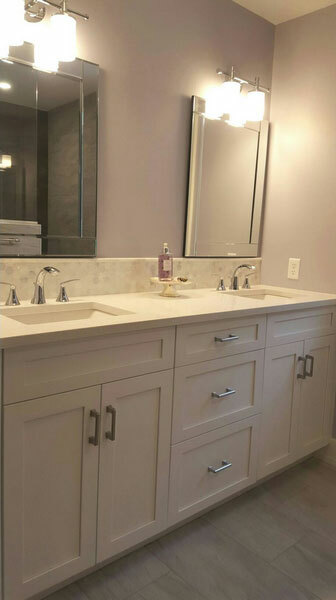 …from the array of cabinetry materials, styles, finishes and colors, as well as countertops, decorative hardware and plumbing selections. 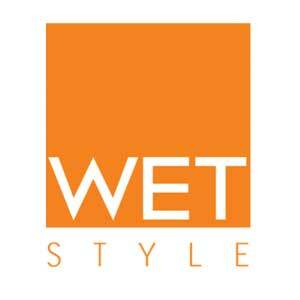 We are always exploring new ideas to represent your style! 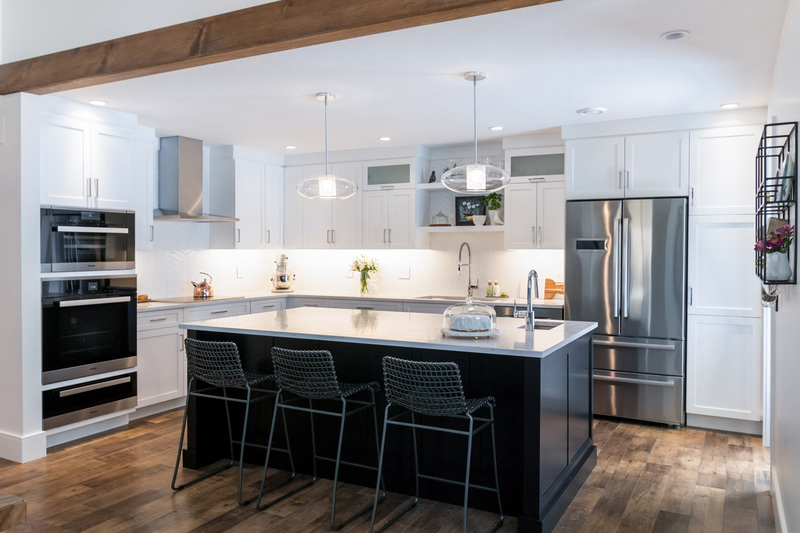 Once your ultimate design and budget are in sync, we will take final measurements of the space and any necessary adjustments will be made to your design. 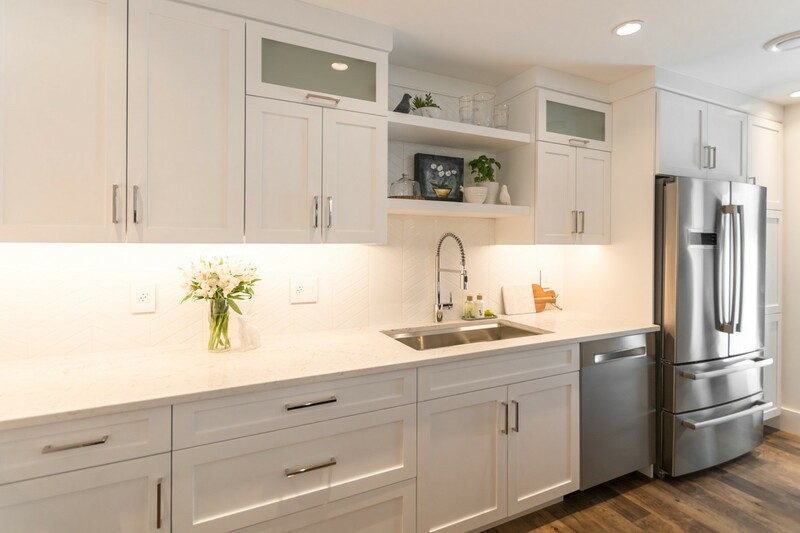 For new builds, this generally happens at the roof-tight stage, once your interior walls are framed, but before your plumber and electrician begin work. 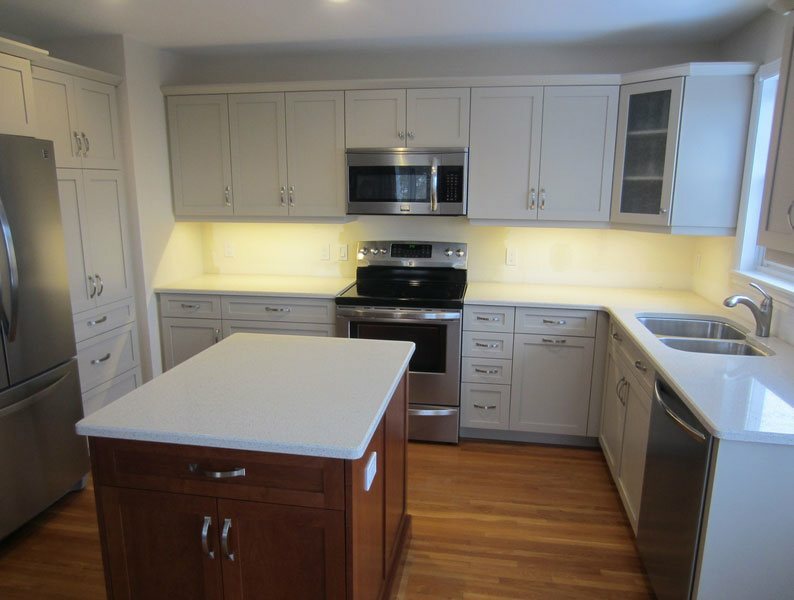 We will also mark out any electrical or plumbing requirements, as well as the location of any islands or peninsulas, allowing your electrician to plan for properly placed lighting and electrical requirements. Once all measurements have been confirmed, the agreement has been signed and the deposit has been received, your order will be processed. 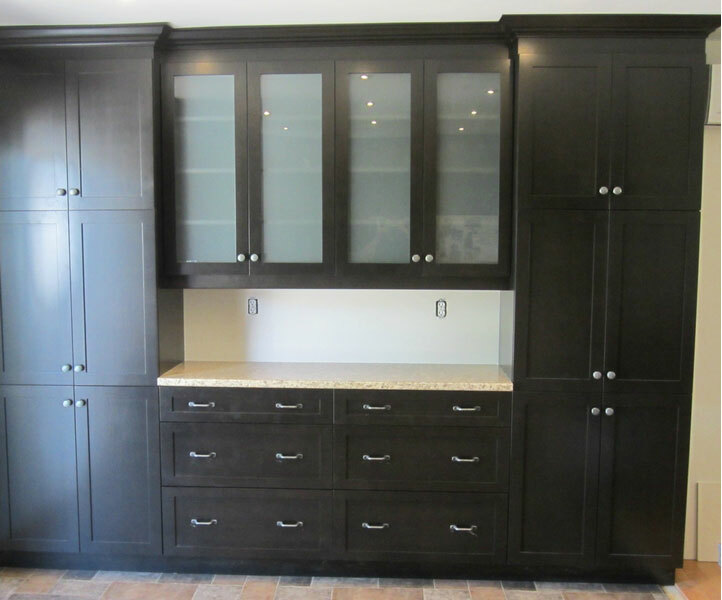 We will contact you to schedule your installation once we have a confirmed date for cabinet delivery. 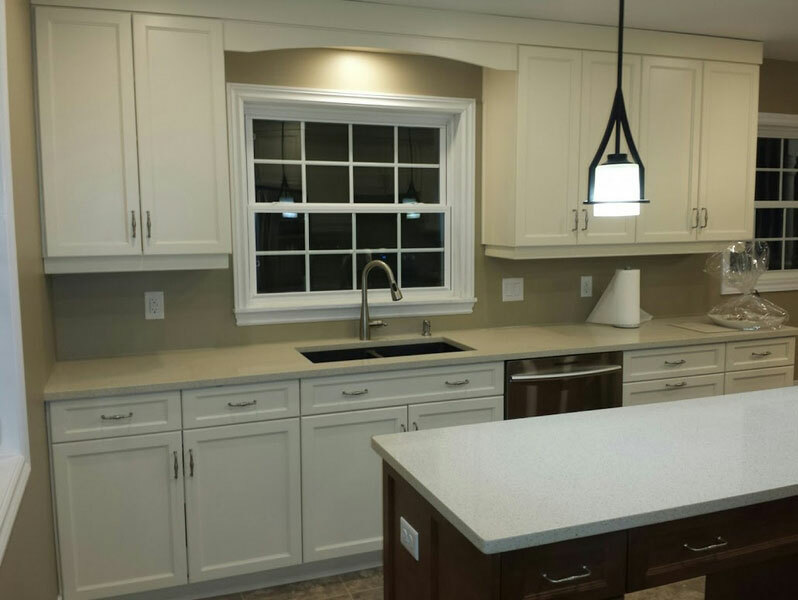 Your project will be professionally, precisely and efficiently installed according to your plan. 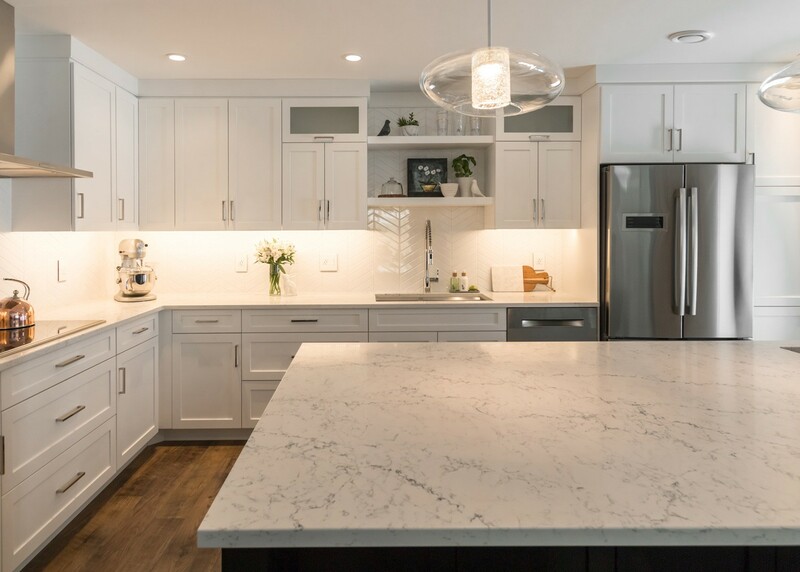 If you have chosen quartz or granite countertops, a digital template will be completed after the cabinets have been installed as this ensures complete accuracy. 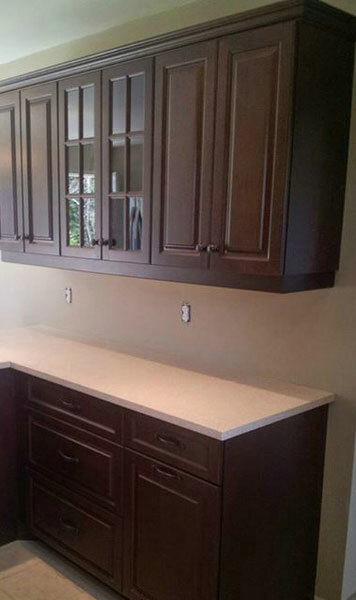 The quartz or granite countertops will be installed within 10 business days from the date of template. 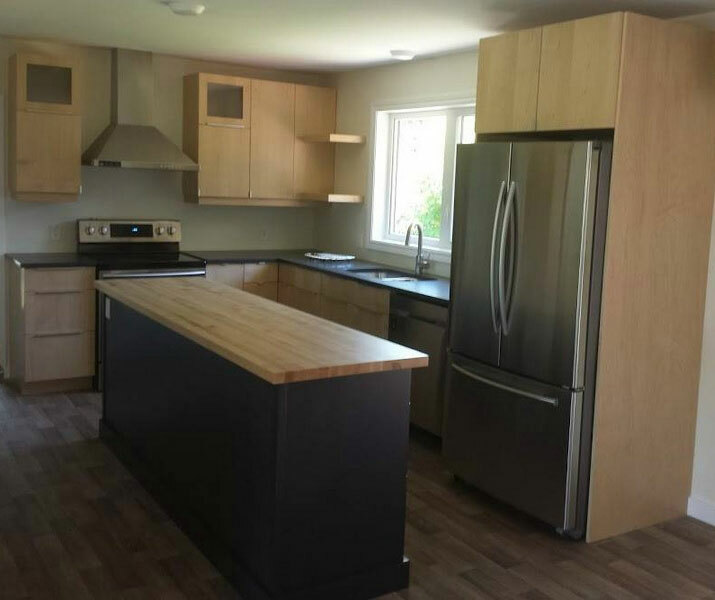 Upon the completion of your project and all final touches, we will ensure that that you are absolutely satisfied. 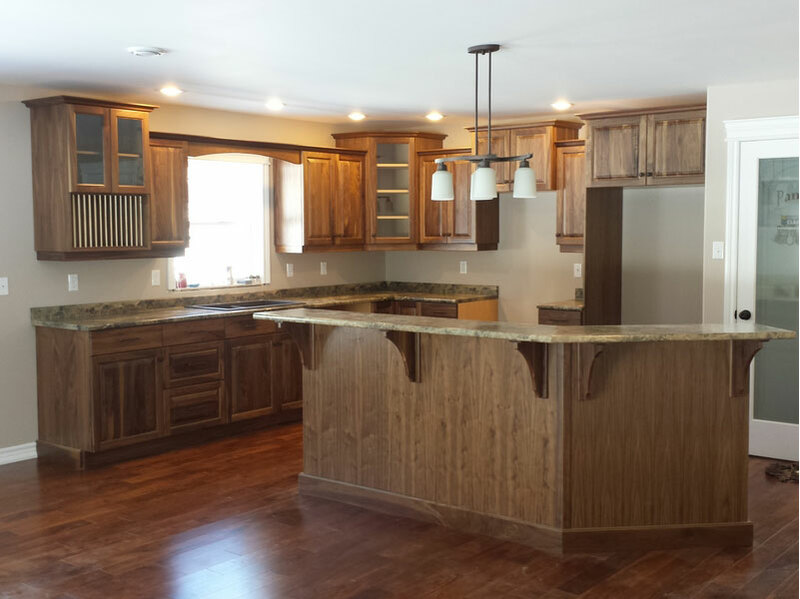 We stand behind our workmanship on every project. 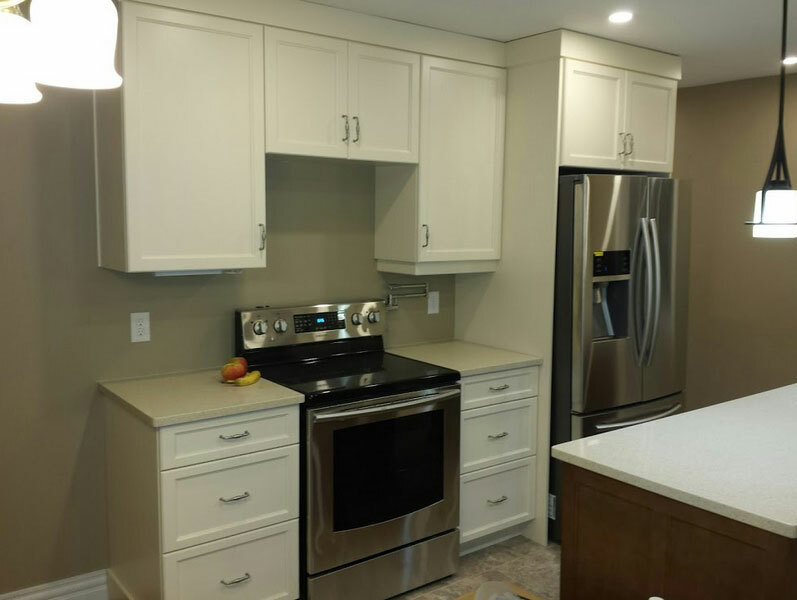 We will follow-up with a Client Satisfaction Survey after your project is complete and, upon your permission, we will take photos of your finished project to add to our portfolio. 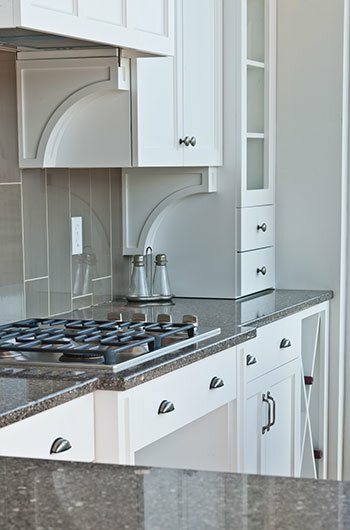 With Cuisine Idéale, our premier cabinetry line, your options for door styles, colors and finishes are endless. 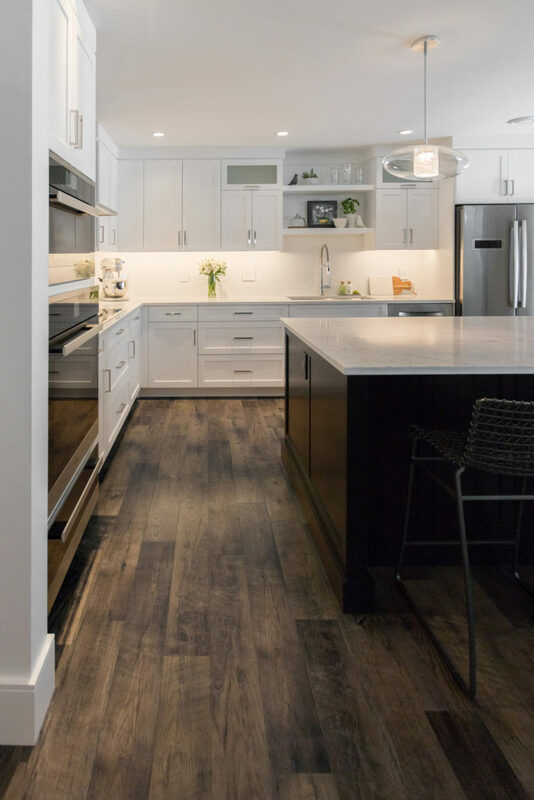 Wood species such as maple, birch, cherry, walnut, oak, exotic woods and thermofoil, and finishes including stained, painted, glazed, Italian high gloss lacquer and distressed, are just small examples of the variety available to you through Cuisine Idéale. 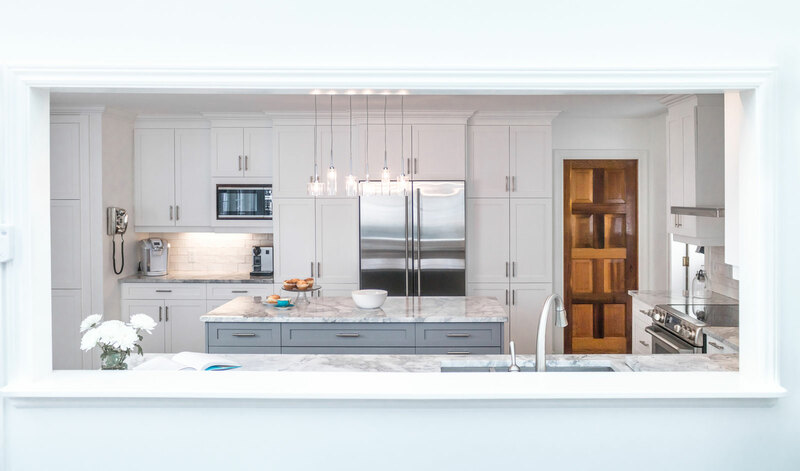 Cuisine Idéale is backed by a written limited lifetime warranty, guaranteeing the craftsmanship, quality, and excellence of your custom cabinetry for many years to come. 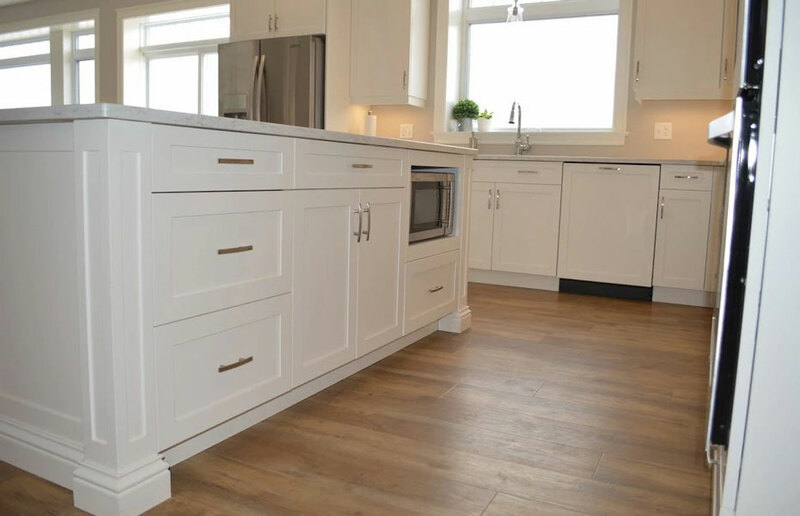 Since 1971, Cuisine Idéale has been lending its name to excellence and reliability in the kitchen and bathroom cabinet manufacturing business. 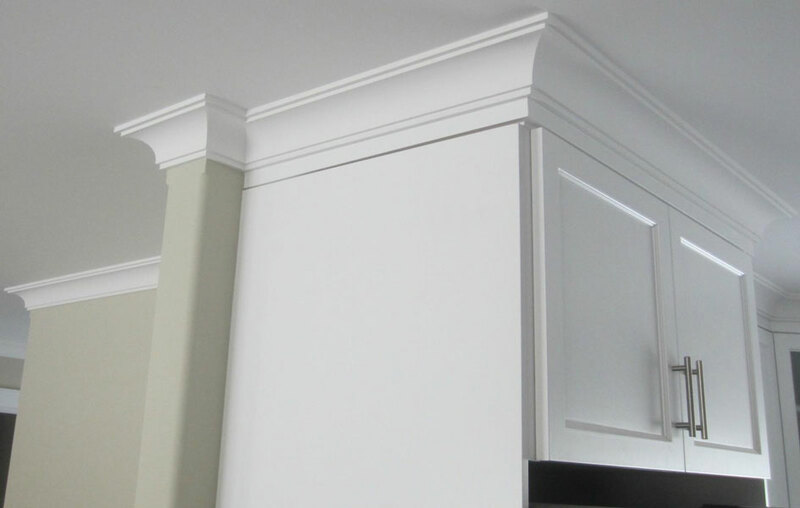 Day in and day out, through the expertise and skill of its staff, perfection standards are relentlessly improved on. 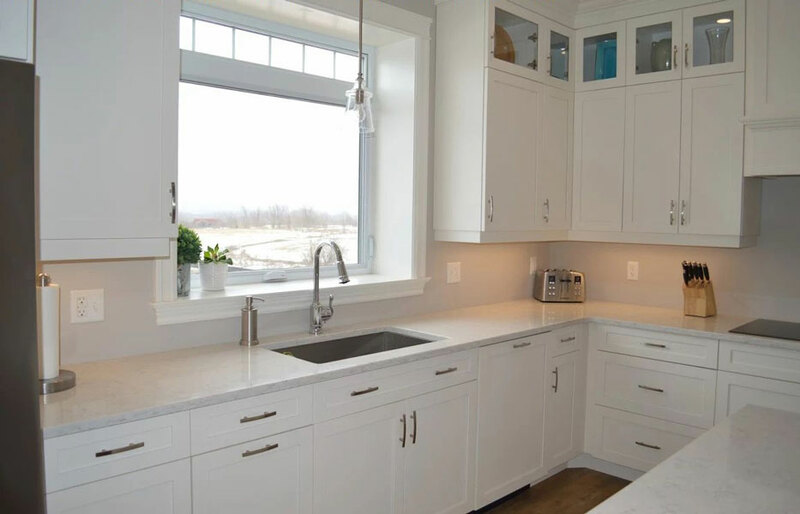 We offer the latest in countertops including quartz, granite, laminate, butcher block, soapstone and more. 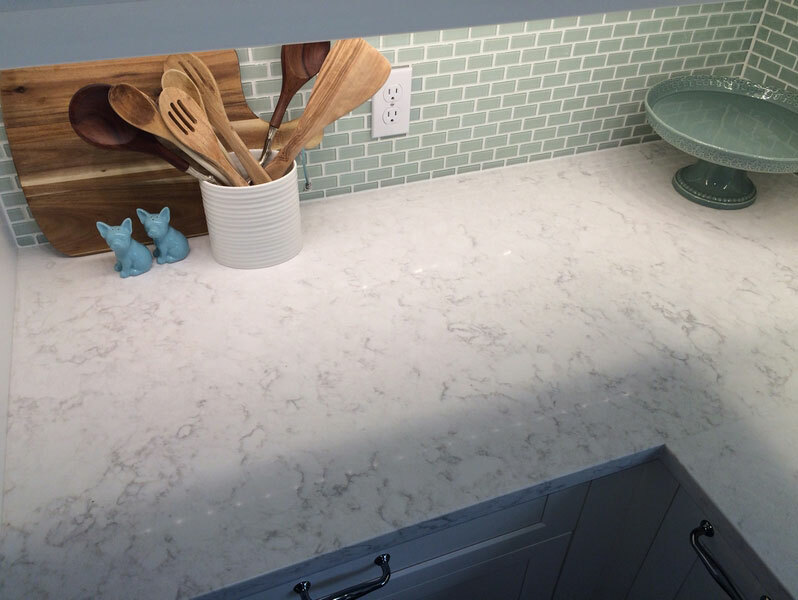 Quartz has become the “must-have” choice for countertops. 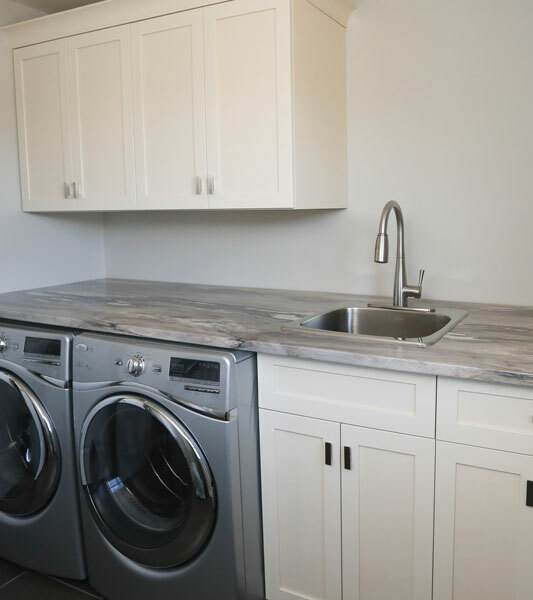 With it’s superior strength, maintenance free properties and stunning aesthetics, it’s no wonder why and, because you can never have too many choices, we offer the most popular brands in the industry with a huge color and pattern selection to choose from! 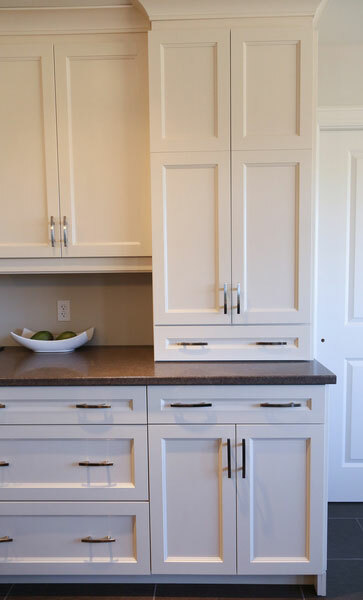 We supply hardware collections from Amerock and Richelieu to provide you with the best selection and options. 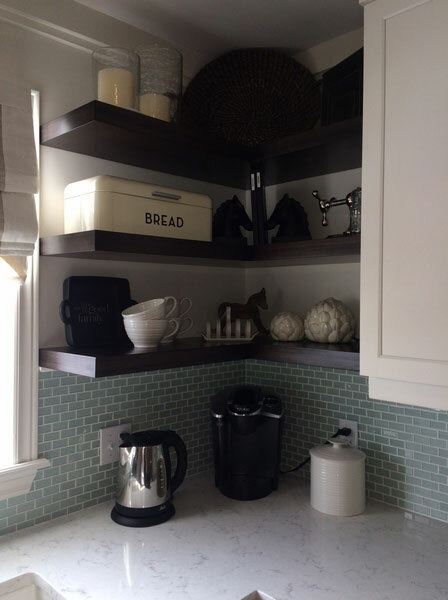 Rev-A-Shelf is the world’s largest manufacturer of innovative and functional storage and organizing solutions. 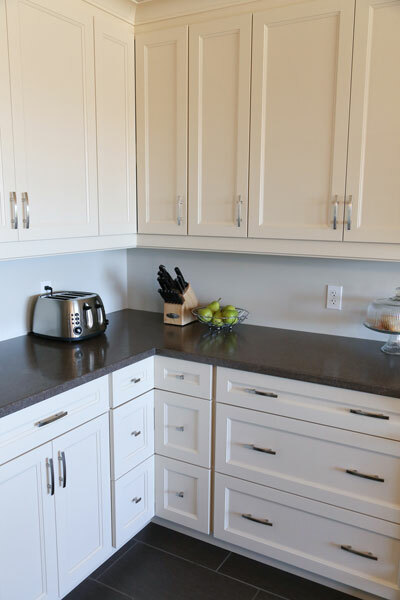 With a huge selection of options including cabinet/drawer organizers, inserts, pull outs, built-in waste and recycling containers and many more ingenuous storage products, Rev-A-Shelf ensures that your cabinetry is as practical and functional as it is beautiful. 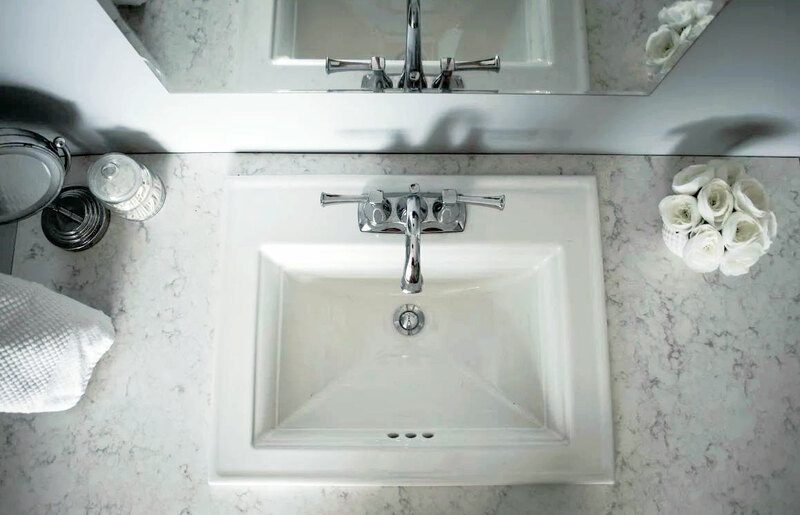 We are happy to offer a wide selection of premium quality sinks, faucets, fixtures and accessories from the following Canadian sink manufacturers. 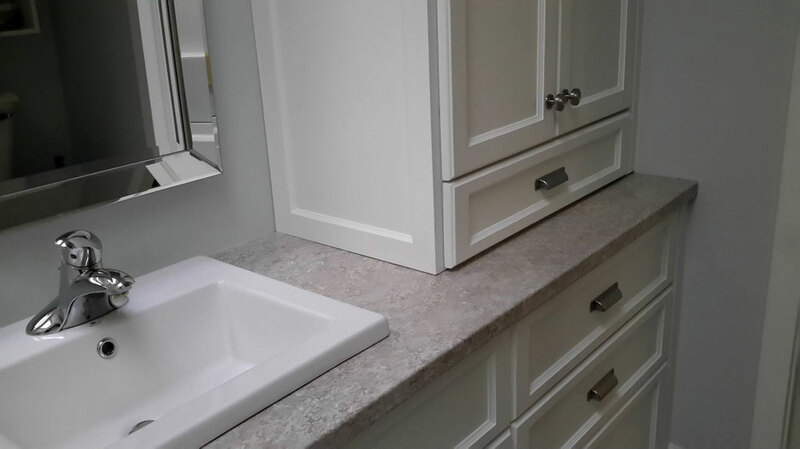 Visit www.pearlsinks.com and www.bristolsinks.com to browse the entire product line. 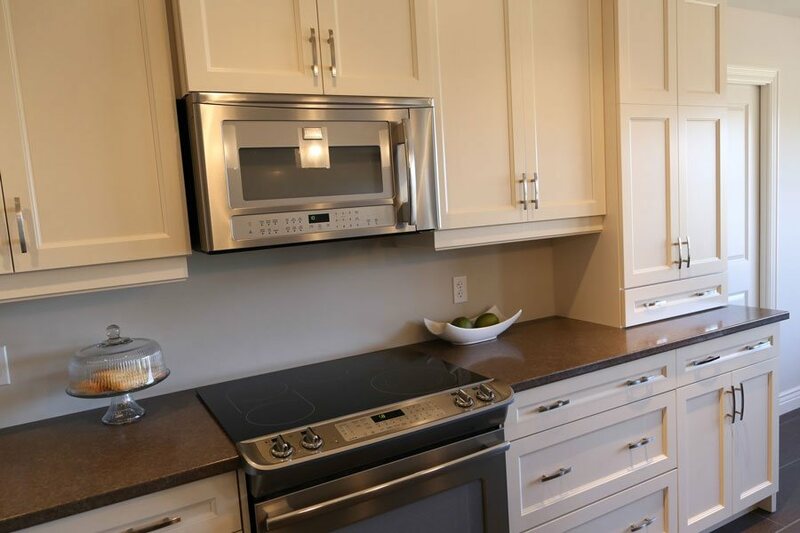 We are also pleased to offer product lines from the industry’s most trusted brands. 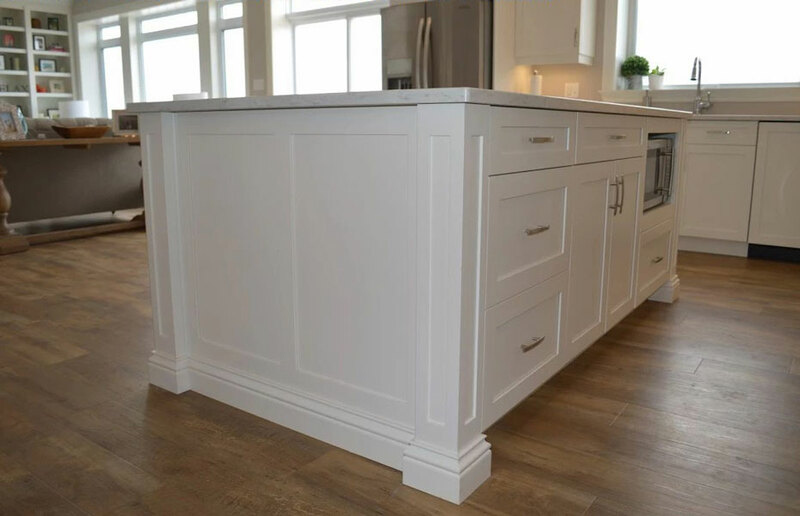 The greatest benefit of custom cabinetry is that it is completely tailored to your space, allowing use of your exact dimensions within 1/16 of an inch. Regardless of the shape, configuration, or desired layout, we will create the perfect design to ensure that your cabinetry uses every inch of your space to the fullest. The added value that a custom kitchen will bring is one of the best investments you can make towards your home. 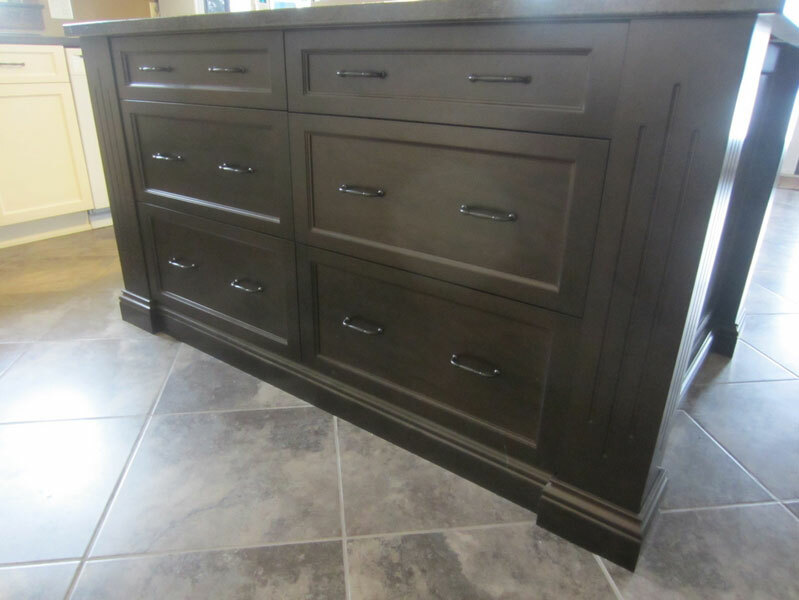 With wood type options such as maple, birch, cherry, walnut, oak, exotic woods and thermofoil, and finishes including stained, painted, glazed, distressed and Italian high gloss lacquer, and with a selection of over 150 door styles and more than 140 standard paint, stain and finish options, we also offer a Color Match Service, creating a custom paint color to match almost anything you choose. 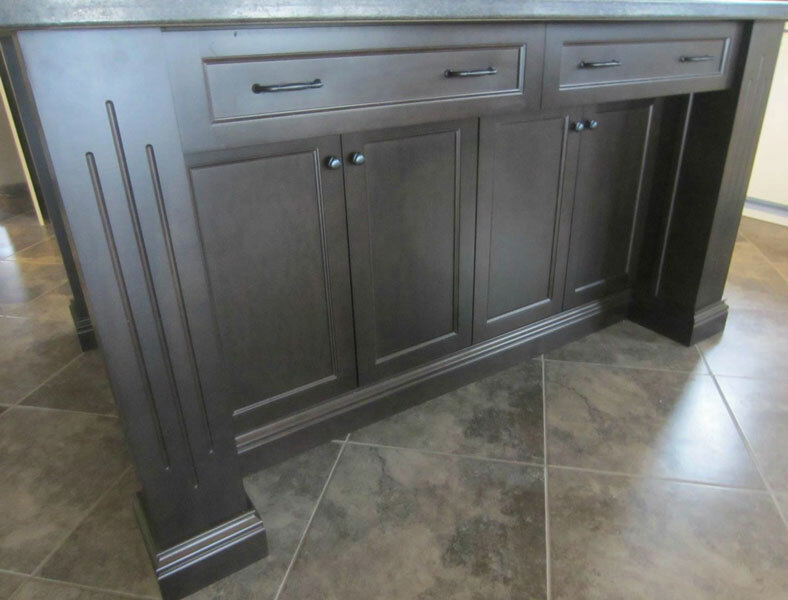 Our 20+ years of industry experience is not only in cabinetry design but also combines a background in cabinet manufacturing and installations. 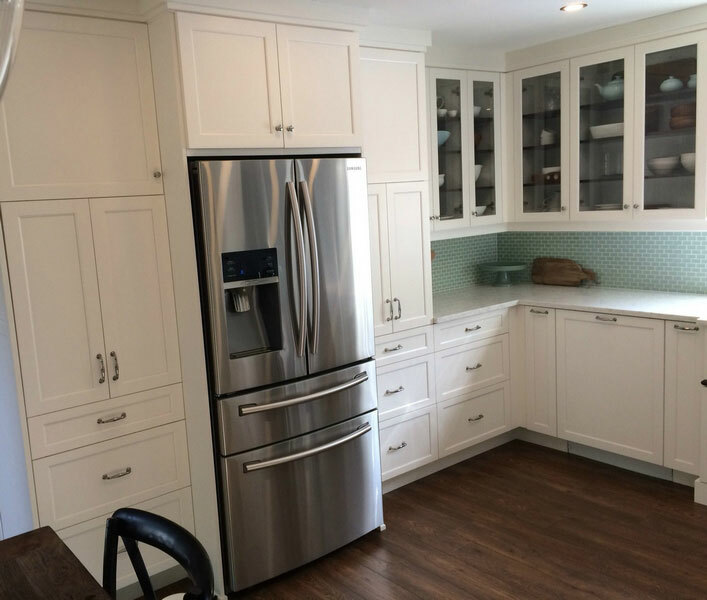 This specialized complement of expertise means you will have a kitchen that functions as well as it looks, with the proper clearances, and with all aspects properly designed and technically correct. 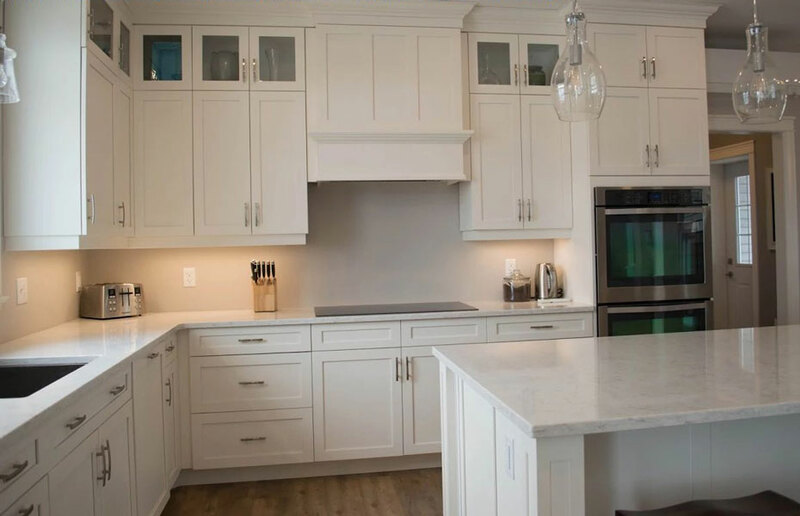 We have created a process to help us best identify and establish your needs, desires, and style, allowing us to develop the most beneficial cabinetry plan for your space and how you live in it. 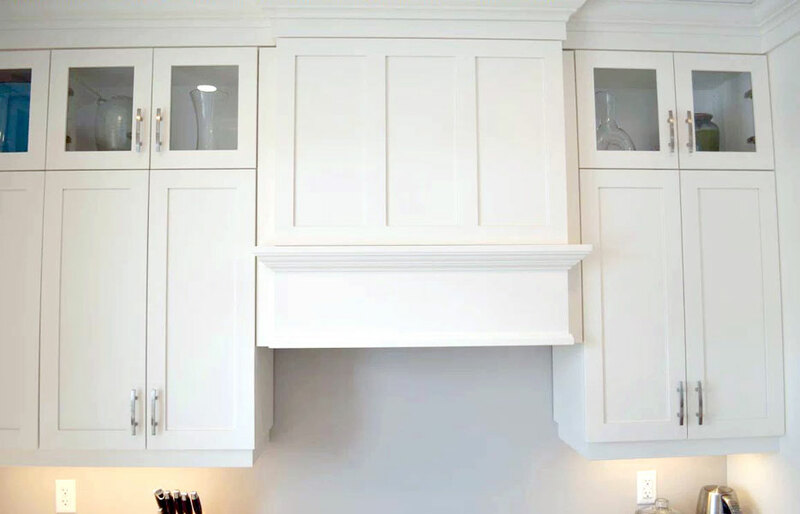 At Aura Custom Cabinet Design Inc., we look after your entire project from design to installation, rather than having multiple people involved in each stage. This helps to prevent possible issues or confusion. 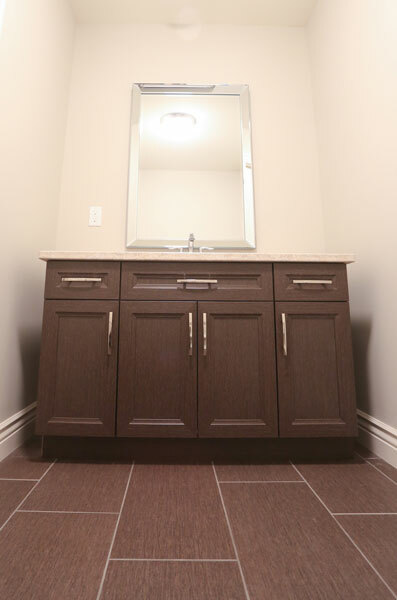 We are pleased to offer evening and weekend appointments if this best fits your needs. 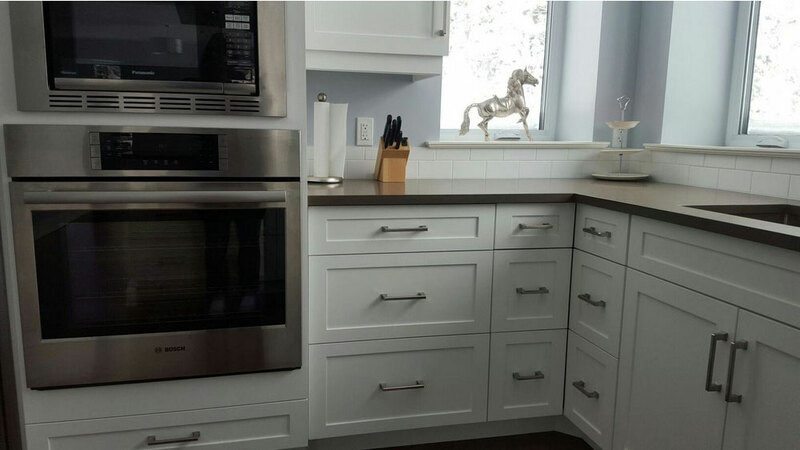 Located just minutes outside of Berwick, we welcome you to contact us to schedule your complimentary design consultation in our Studio or in your home. 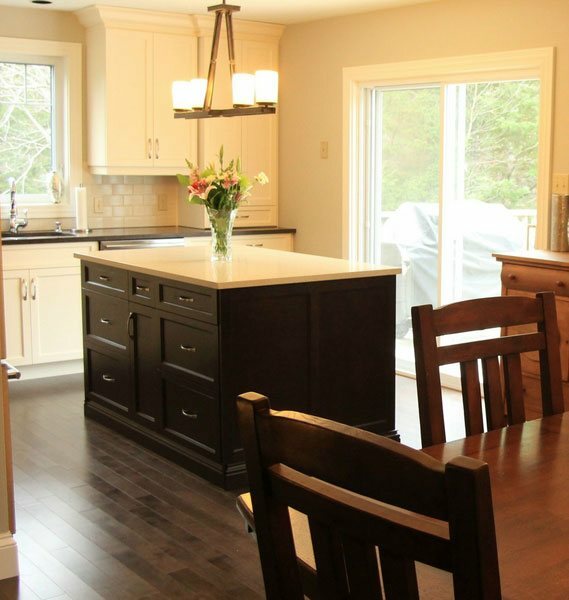 Aura Custom Cabinet Design Inc. serves the Annapolis Valley and HRM.